Bridge the gap between FireWire 400 - 800 devices and computer ports for maximum flexibility. Description: IEEE 1394a/b cable features a 6-pin FireWire male connector at one end and a 9-pin male FireWire 800 connector at the other. The IEEE specification provides total compatibility between the 400mbps and 800mbps busses - which you can now experience for yourself! 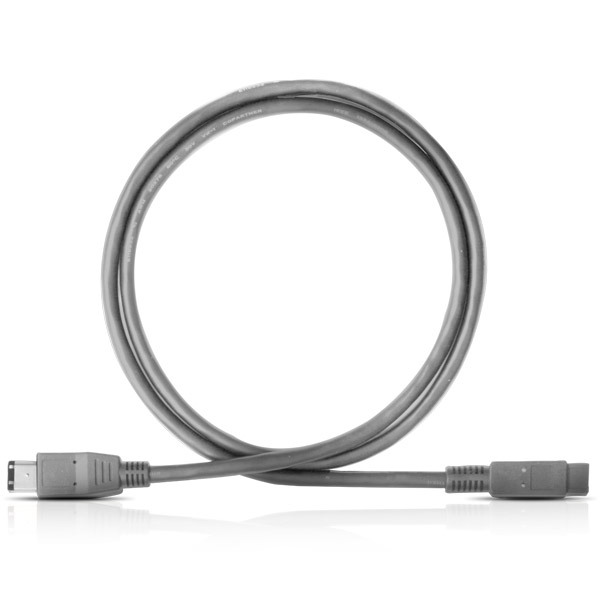 Mate all your FireWire devices to virtually any machine with any flavor of powered FireWire ports (Including the new Apple MacBook Pro). Use a FW400 hard disk drive on a FW800 port, or an 800 disk on a 400 port. Connect a FW400-based web cam, like the Apple iSight, to your computer's FW800 port to prevent external FW400 HDD data transfer stalls and errors.